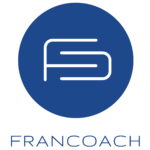 “I started working with FranCoach as soon as I lost my job of 11 years. FranCoach introduced me to 3 different franchisors in industries that would work well with my experience and skills. I just wasn’t ready to take the leap and they coached me to take all the time I needed. They stressed the importance of a good “fit” that will be positioned for success and will last. I reached back out several months later, asking him to find a match for my son and me to start a business together. FranCoach knew immediately which Franchisor would be a perfect match for our industry, goals and desired culture. FranCoach stayed with us through every step of the process, often explaining terms that we never heard of in disclosure statements and other documents we needed to understand. He served as a coach, experienced advisor, sounding board and liaison. With this help and support, we reached the point where we felt we had done enough due diligence to move forward with confidence and courage to make a sound business decision. We are now happy franchisees of MyHouse Fitness. I recommend FranCoach to others who are seriously exploring whether a franchise is a good fit for them. They are experienced professionals who provides valuable guidance to anyone who is entertaining the idea of becoming a franchisee."